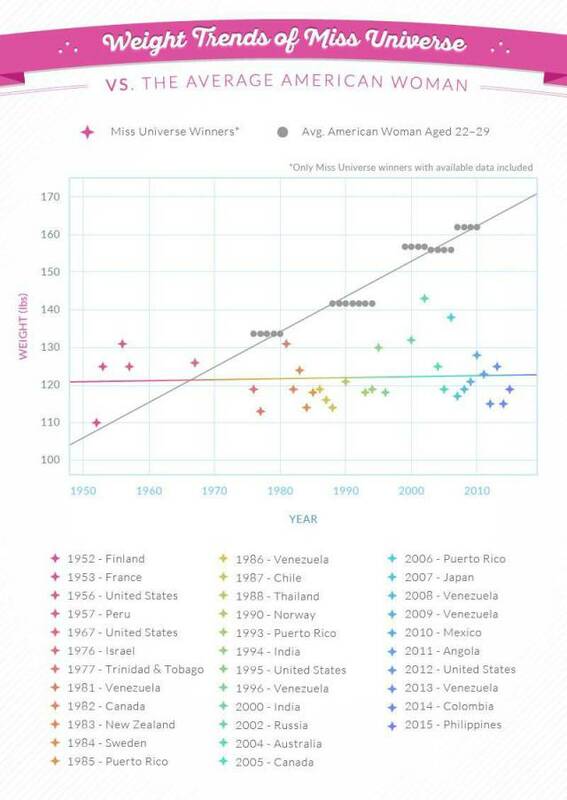 The Miss Universe Competition has been around for a long time and it's undergone some major changes since it was created. These pictures show not only how the Miss Universe Competition has changed over the years, but also how the public perception of beauty has changed over time as well. 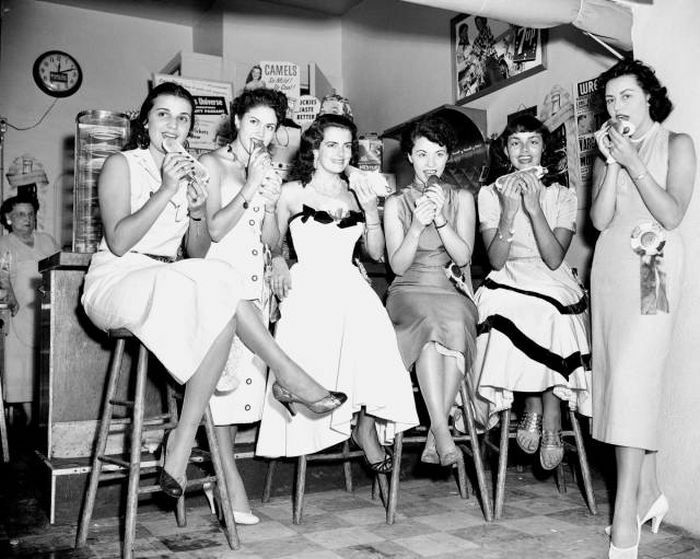 Miss Universe started in 1952 as a marketing stunt by a California clothing company, Pacific Knitting Mills, after the winner of rival pageant Miss America refused to wear one of its swimsuits. At first, the pageant was combined with the Miss USA pageant. It wasn't broadcast until 1955. 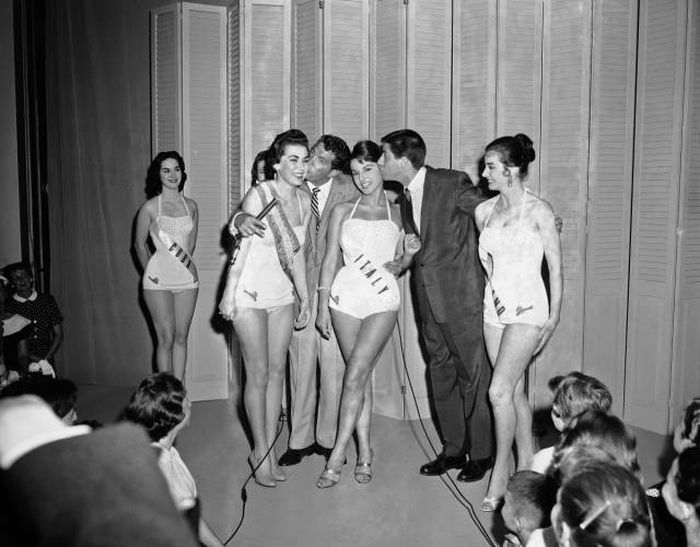 Here are some contestants in 1956 at a department store for the bathing-suit competition. 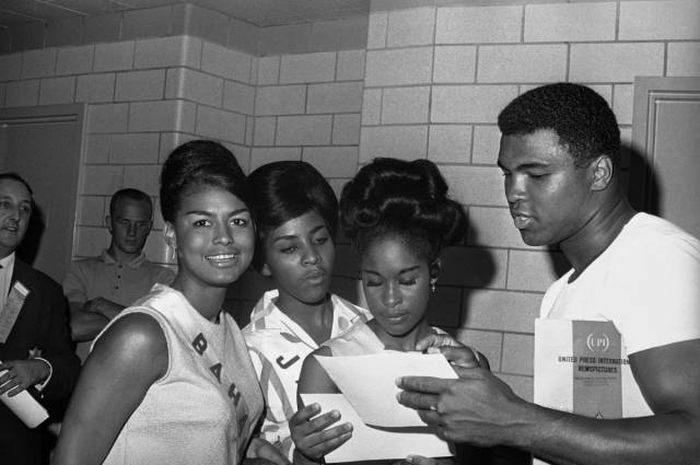 In those early years, Miss USA was essentially a preliminary phase in the Miss Universe contest. Here's the Miss USA 1957 winner, Leona Gage, who lost to Gladys Zender from Peru in Miss Universe. 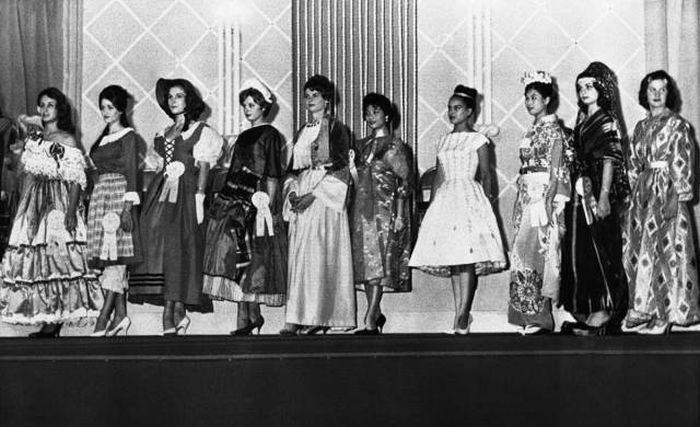 In 1959, Japan's Akiko Kojima was crowned the new Miss Universe. She was on the shorter side of winners at 5-foot-6 — still 2 inches taller than the average American woman. In 1960, an interview portion was introduced to the contest. Here's a snapshot from that year where the women wore their national costumes. It became a pageant staple. 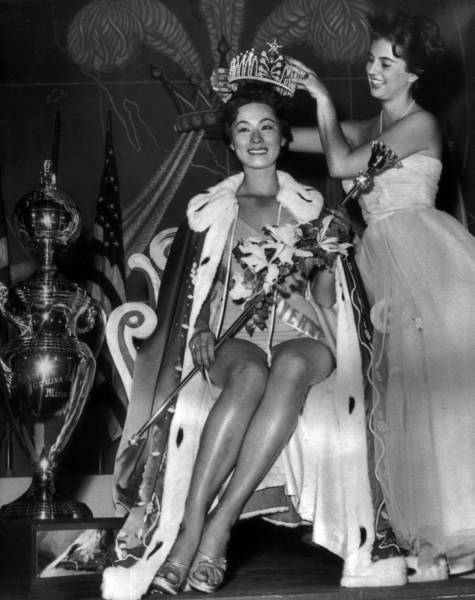 In 1965, the pageant separated from the Miss USA contest. It also started announcing the semifinalists on the night of the main event, who later competed in an evening-gown and swimsuit contest. 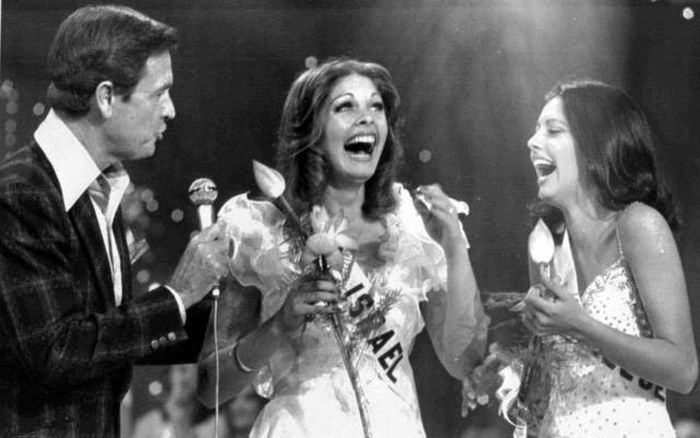 From the '70s through the '90s, the pageant was over a month long, including rehearsals and preliminary contests. These contestants from 1971 are waiting for the pageant walk-through to start. All the women competing in these early years were stereotypically beautiful and thin, but they started to get taller in the '70s. The 1974 winner, 20-year-old Amparo Munoz of Spain, was 5-foot-8. The '60s and '70s really cemented what the pageant would look like in the future. Here, Bob Barker announces that Rina Messinger of Israel had won the title in 1976. The finalists would always stand together while the runner-ups were announced. 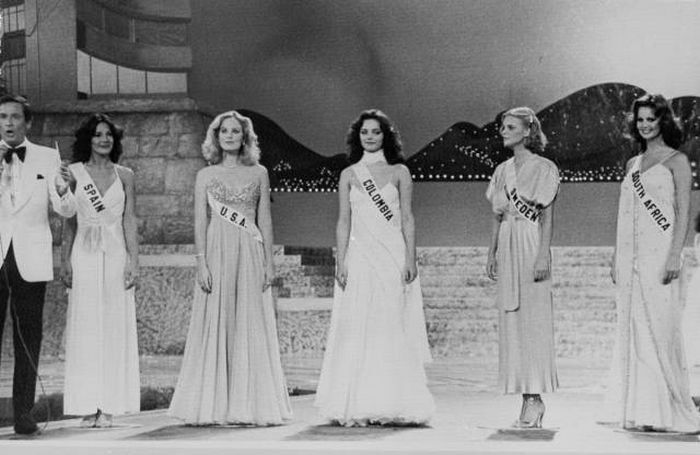 The winner of the 1978 pageant was Miss South Africa, Margaret Gardiner, on the far right. The hair got bigger and the dresses became trendy in 1983. Miss New Zealand, Lorraine Downes, was over 5-foot-8. Many of the winners in the 1980s were under 120 pounds, while the average American woman was heavier, weighing between 130 and 140 pounds. The '90s really upped the ante when it came to the swimsuit competition. Here are the 1996 contestants in a pre-show competition with a distinct "Baywatch" vibe. Miss Venezuela, Alicia Machado, was crowned 1996 Miss Universe. Donald Trump bought a part of the company in 1996. Here he is posing with contestants for Miss Universe in 1998. In 1998, Miss Trinidad and Tobago Wendy Fitzwilliam won the title. She was 6 feet tall — a staggering 8 inches taller than the average American woman. In 2000, the interview portion of the semifinal was cut, leaving only the swimsuits and evening-gown contests. Here are the finalists in 2001 — the winner was Miss Puerto Rico, Denise Quinones (center). 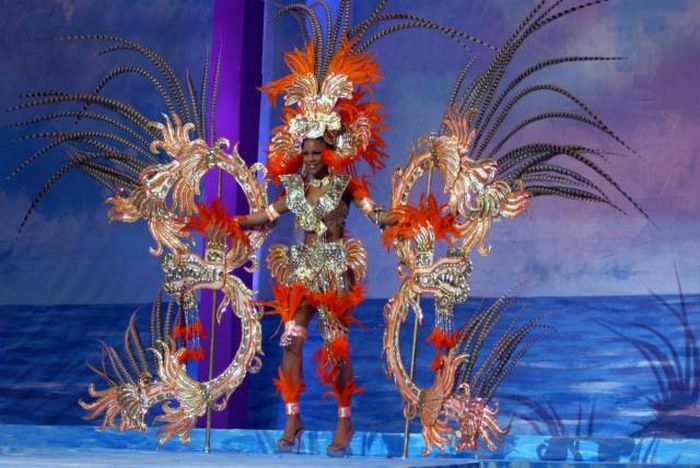 The National Costumes may not count in the competition, but they've become much more elaborate since Miss Universe's early years. This is Miss Honduras, Erika Lizet Ramirez, in 2002. But some things never change: Miss Universe is still all about the swimsuit competition. Just ask these 2004 candidates. The stage and performances have only gotten bigger and more elaborate. Here, the 2004 candidates dance for the stage presentation. And why not combine dancing and swimsuits? These lithe women set the scene in 2008. At this time, an average American woman weighed over 160 pounds on average. While the pageant claims that the winners must have intelligence and poise in order to handle the demands of their title — which range from charity work to extensive travel — a former judge told Forbes in 2011 that the actual winner is decided based on her looks alone. Being beautiful, thin, and tall is key in the competition. Here, Miss Mexico, Jimena Navarrete, is crowned Miss Universe in 2010. The winners are also all quite young. Miss Angola, Leila Lopes, was crowned Miss Universe 2011 at age 25 and was one of the oldest women to ever win. The oldest Miss Universe winner was USA's Brooke Lee in 1997, when she was 26 years old. The average age of a Miss Universe winner is 20.4 years old, but the contestants can be anywhere from 18 years old to 27 years old. Miss USA, Olivia Culpo, won in 2012. She was 20. In 2015, Donald Trump bought all of the Miss Universe Organization and sold it after he caused a controversy with comments about illegal immigrants from Mexico. But that hasn't stopped the Miss Universe pageant. Here, 5-foot-9, 22-year-old Miss Colombia, Paulina Vega, is crowned in 2014. Miss Universe 2015 caused a stir when Steve Harvey accidentally announced Miss Colombia, Ariadna Gutierrez, as the winner and not Miss Philippines, Pia Alonzo Wurtzbach. Our desire for tall, beautiful, and thin pageant competitors will likely continue in the coming years, if this study is any indication.